Sarah Walker with a lively mix of music, chat and arts news. Her guests include bass Sir John Tomlinson, conductor Suzi Digby, and the Delta Piano Trio. Orchestra: Royal Liverpool Philharmonic Orchestra. Conductor: David Lloyd-Jones. Sullivan: Pineapple Poll etc: Royal Liverpool Philharmonic Orchestra/Lloyd-Jones. Performer: Andreas Ottensamer. Performer: Emmanuel Pahud. Music Arranger: Stephan Koncz. Orchestra: Kammerakademie Potsdam. 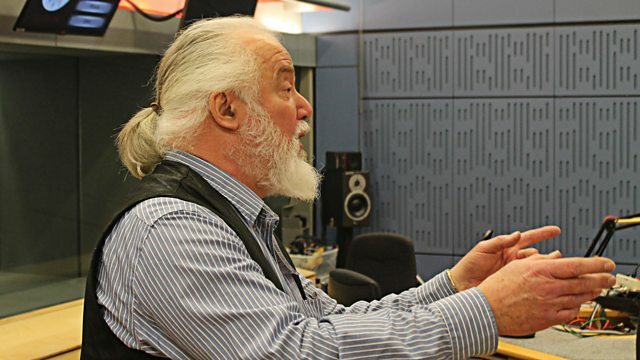 Performer: Sir John Tomlinson. Performer: Andy Smith. Butterworth/Delius: English Rhapsody: Halle, Elder. Performer: Sarah Willis. Ensemble: Kurpfalzisches Kammerorchester. Conductor: Johannes Moesus. Music Arranger: Pau Casals. Performer: Sheku Kanneh-Mason. Performer: Isata Kanneh-Mason. Choir: ORA. Conductor: Suzi Digby. Performer: Pierre‐Laurent Aimard. Orchestra: Chamber Orchestra of Europe. Conductor: Nikolaus Harnoncourt. Orchestra: Bamberg Symphony Orchestra. Conductor: Neeme Järvi. Singer: Elin Manahan Thomas. Orchestra: Orchestra of the Age of Enlightenment. Conductor: Harry Christophers. Debussy: Complete works for piano vol.3: Bavouzet.